Outdoor water use, which mostly means lawn watering, represents one of the largest uses of water in urban areas – and according to a Texas Water Development Board study, approximately half of the water used for lawn irrigation is lost to runoff or evaporation. 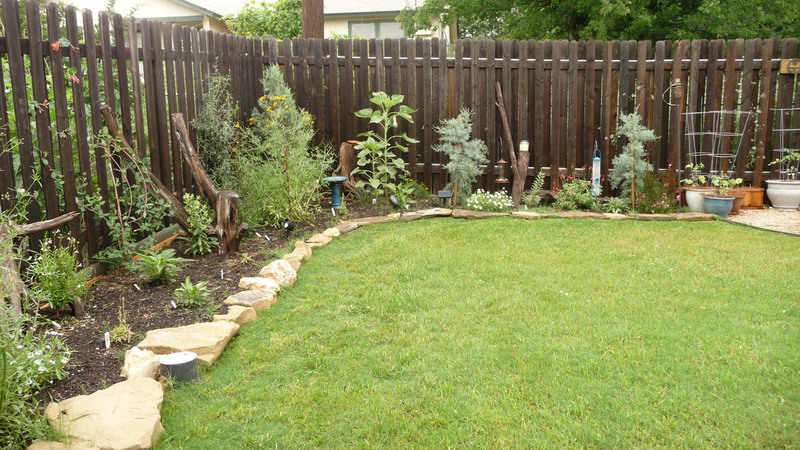 The Texas Living Water Project’s 2010 Sprayed Away report found that water use in the summer is often 50-60 percent higher than in the winter, even though only about half of this water actually benefits the landscaping. It makes little sense to procure, treat and deliver high-quality drinking water to customers across a city, only to have it evaporate immediately or disappear down a storm drain as a result of being applied inefficiently to our outdoor landscapes. Sprayed Away calculates that if 18 Texas cities reduced their outdoor water use by just 25 percent, they could save, collectively, an average of 147 million gallons every day during the summer. Reducing peak summer usage can also save millions of dollars in treatment costs. The bottom line is that changing the way we water our lawns is one of the most practical and cost-effective ways we can ensure that we have the water we need for the future. Irrigation systems are becoming increasingly common in Texas. The American Water Works Association estimates that homes with in-ground irrigation systems use 35 percent more water than homes without irrigation systems. This is because many of these systems are not designed or installed correctly. In fact, staff at the Austin Water Utility report water waste of 20 to 50 percent due to poor system design. Cities should take steps to ensure that these systems are as efficient as possible by offering free system audits and rebates on water-saving upgrades, such as rain sensors. Decisions made today about which types of lawns and landscapes to install in new developments have the potential to influence water use for decades to come. Smaller areas of turfgrass and the use of drought-resistant grasses can make a big contribution to reducing water use. Unfortunately, with only a few notable exceptions, Texas cities are currently doing little to guide new developments in this way. Cities across the country have created programs that pay customers to replace their turfgrass with more water-efficient landscaping. These programs are becoming more common in Texas, with entities such as the City of Pflugerville and San Antonio Water System offering rebate programs. To ensure that customers learn new watering habits, utilities should make rebate payments contingent on whether customers actually reduce their water use. Capturing rainwater has real potential as a source of water for Texas. In fact, a report published by the Texas Water Development Board estimated that a metropolitan area the size of Dallas could capture roughly 2 billion gallons of water annually if just 10 percent of the city’s roof area was used to harvest rainwater. Residential-scale rainwater harvesting systems are a great feature for new housing developments. Although several Texas cities currently offer rebates on rain barrels, this source of water is currently seriously underutilized. A strongly tiered rate structure is the most equitable way to price water. Most residential customers use limited amounts of water, placing smaller demands on the system, and should pay less per unit of water as a result. For example, the San Antonio Water System has found that about 80 percent of their residential customers do not see any significant rise in their bills during the summertime. This indicates that the 30 percent bump in total water use that San Antonio sees during the summertime is caused primarily by a small portion of the utility’s customers. Despite this, heavy users in most cities usually pay little more, and often less, per thousand gallons than frugal water users when factoring in all components of water rates. To ensure that landscaping water is used as effectively as possible, cities should encourage once-a-week watering and should restrict lawn watering to no more than twice a week, even during years of normal rainfall. Landscape watering during the heat of the day should be prohibited, subject only to limited exceptions. To help reinforce consistent patterns, the time-of-day restriction should apply throughout the year. At the end of the day, most people want to use water wisely. Water utilities can and should play an active role in giving people the information they need to make smart decisions about how and when to use water outdoors. To be most effective, educational programs should use multiple channels to repeat specific, practical recommendations that water customers can easily understand and apply to their own landscapes. At their best, educational programs create an understanding of the region’s water resources and build support for other conservation measures a utility may decide to undertake.